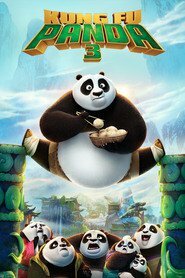 KUNG FU PANDA 3 is the usual delightful offering from DreamWorks. It’s good fun even if a bit predictable. The story’s ok with a large number of references to Chinese philosophy and chi — the concept of energy essential to much Eastern thought. The humour is cute and amusing and the animation, as would be expected from DreakWorks, is superb and well worth the extra money to see in 3D. Jack Black, Angelina Jolie and Dustin Hoffman provide great voicing. While not quite as good as the first in the series the kids will still love it and it’s a great family film. Major themes are about identify and family - especially the idea of having two dads. Recommended for ages 6+.